As climate change and extreme weather events become more disruptive to food production and supply chain operations, WINnERS offers risk management services to build resilient supply chains from the smallholder to the global retailer. Winners is a form of crop loss micro insurance that makes it commercially viable for food buyers or banks involved in food supply chains to engage with rural smallholders who lack access to the market. The micro insurance contract design insulates small holders from potential losses arising from extreme weather or crop failure. WINnERS insurance has reached 40,000 farmers in Tanzania. 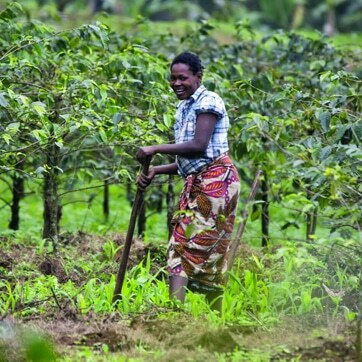 It is helping tens of thousands of smallholder farmers in East Africa to adapt to climate change. The scheme has already rolled out in Tanzania, and through 2017 and beyond WINnERS has become a multi-country initiative covering countries including Zambia, Uganda, Côte d’Ivoire and Rwanda. It is enabling The World Food Programme to buy at least $120 million of agricultural products each year from smallholder farmers. Climate-KIC contributed crucial funding and incubation support – including structured targets, prototype finalisation, pilot design and oversight, through to implementation, impact studies and sourcing sites. We convened climate scientists, insurance industry experts and global food buyers, helping apply and commercialise research from Imperial College London, to both build the product and create guidance for national regulatory frameworks in insurance and agriculture. For more information visit www.winners-project.org.